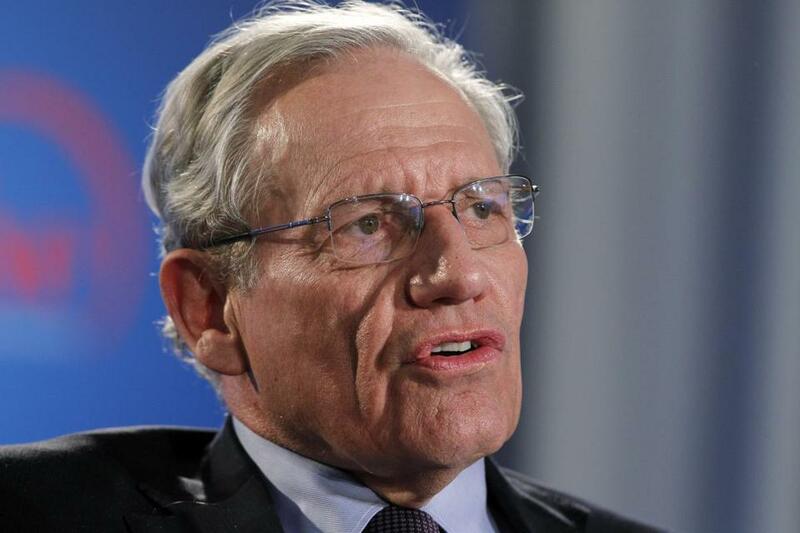 Bob Woodward appears at the Wilbur Tuesday. Three months after two-time Pulitzer winner Bob Woodward released his latest book, about inner workings of the Trump White House, the journalist says he is still struck by the ongoing “governing crisis” he found in his reporting. As president, Trump “makes decisions often without a factual basis for making them. The concern about his process and the outcomes seems to be growing,” Woodward said. Woodward spoke to the Globe ahead of his Tuesday night appearance in Boston at The Wilbur. His book, “Fear: Trump in the White House,” is Woodward’s 19th — tomes that span nine presidents since he and his Washington Post colleague Carl Bernstein broke the Watergate story that eventually led to the resignation of Richard M. Nixon as president. In his latest, Woodward describes a chaotic Trump White House in which the president disparages his own cabinet officials behind their backs, and those cabinet officials do the same to the president. The book also depicts aides removing papers from the president’s desk that were ready to be signed, hoping Trump would forget he asked them to be drawn up in the first place. The book, which was released in September, takes readers through parts of the 2016 campaign, the transition, and through the first year and a half of the presidency. Trump did not agree to be interviewed by Woodward before the book came out. “He’s really tough, and if he finds any crime, he goes after it,” Woodward said. James Pindell can be reached at james.pindell@globe.com. Follow him on Twitter @jamespindell .